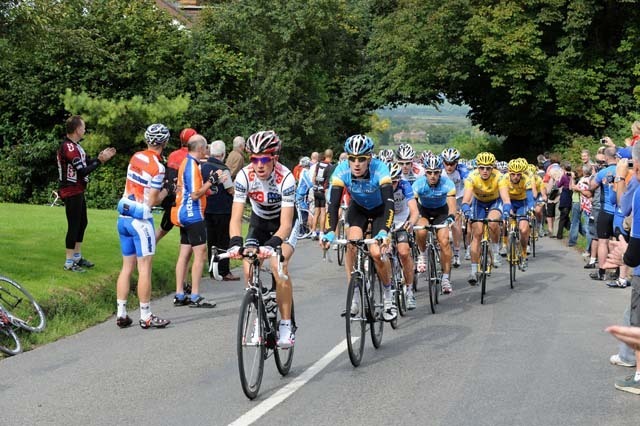 Matt Goss of CSC-Saxo Bank won the second stage of the Tour of Britain on Monday after a twisting final two kilometres through centre of Newbury left riders amazed how they made it to the finish. The 21 year-old Aussie beat Julian Dean and Chris Sutton of Garmin, with Britain’s Roger Hammond (Columbia) fourth, after the narrow city centre street and some fighting for position left the bunch in tatters. Fortunately for some, the race commissaire decided to give 86 riders the same time, claiming that Martin Garrido?s crash inside the final three kilometres affected virtually everyone in the race. 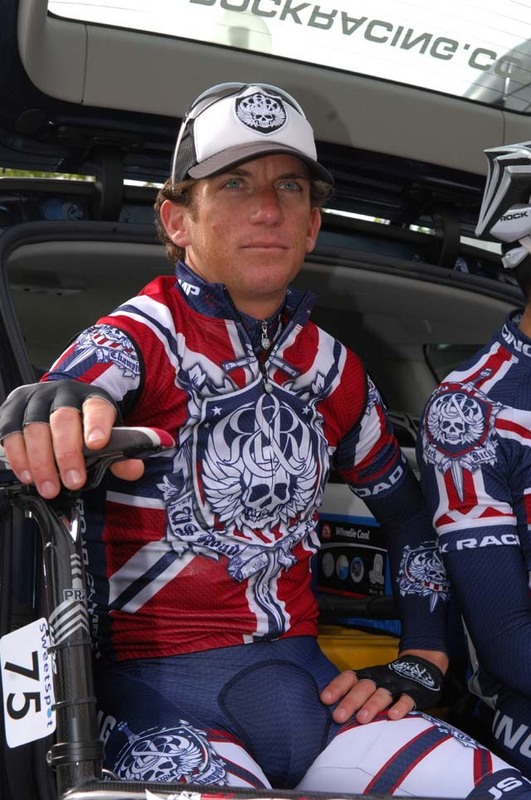 Riders lucky not to lose at least 15 seconds included David Millar (Garmin) and Danilo Di Luca (LPR). Stage one winner Alessandro Petacchi (LPR) finished sixth in the sprint. The Italian and Goss are tied on time after both taking a ten-second stage winner?s bonus but Petacchi kept the race leader?s yellow jersey thanks to his two better stage placings. Danilo Di Luca (LPR) is now third overall at two seconds after picking up time bonuses early on the stage. Petacchi was not pleased to have risked his neck in Newbury and predicted he would lose the leader?s jersey when the Tour of Britain goes over Exmoor as Hurricane Hanna hits Britain. Ian Stannard (Great Britain) was the hero of the day. The stage started in his home town of Milton Keynes and he was in the thick of the action for most of the 145km of racing. He was in a very early 11-rider attack and then jumped away alone when the Di Luca break was caught. He opened a four-minute lead but was gradually pulled back by the bunch and caught with 25km to go.